We are Siyazakha Savings Group. 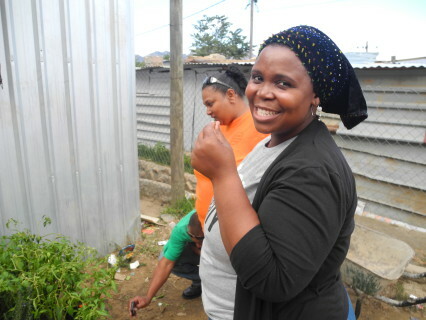 We are a group of 26 members and first started to meet in 2010 in Siyahlala informal settlement in Philippi, Cape Town, where I live. 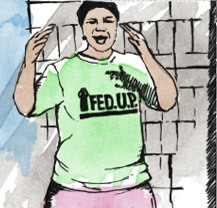 We decided to form the savings group when we got introduced to the Federation of the Urban Poor (FEDUP). It was during a time that we were stuck on private land and did not know how to start organising ourselves. The savings group was a good way for us to improve conditions for ourselves and for our settlement. We chose the name ‘Siyazakha’ because it means ‘to build ourselves’. The name was my idea – it reminds us that we are the only ones who can build our families and ourselves. This is why we save. Over the years we have been saving towards different things. Some savings are long term and others are short term. 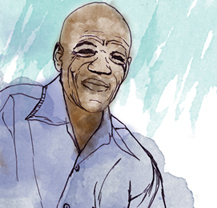 This winter, for example, we are saving for paraffin heaters. Every member is going to save R150 from which we want to buy 3 heaters every month. We use long-term savings for things like school uniforms and groceries. This is a strong support because we don’t have to worry about taking loans. At the moment we have 15 active members and many new members joining, especially older mamas who are the most energetic. Three of us from Siyazakha savings group decided to do a permaculture exchange at Masizame savings group in Makhaza (Cape Town) from 24-26 May 2014. 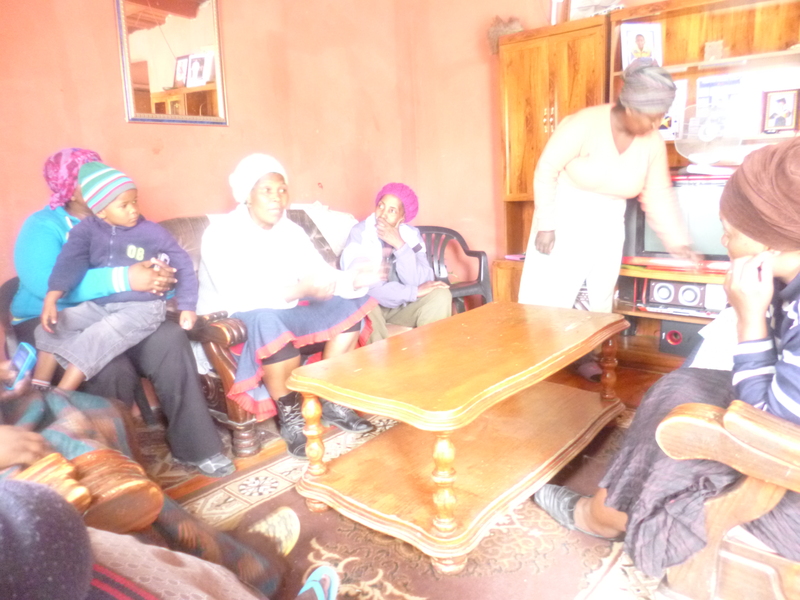 We chose Masizame savings group because we heard that many members were no longer active. Mama Jim, Thembiso and I went around door-to-door and managed to collect 5 women from Masizame savings group for the exchange. 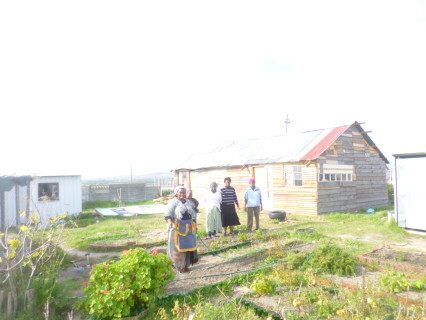 On the first day we explained that permaculture is about using all available materials and that there is no need to use chemicals or to buy anything. Permaculture believes that before you start with the garden you must design it and check up on things like rainfall and wind direction. 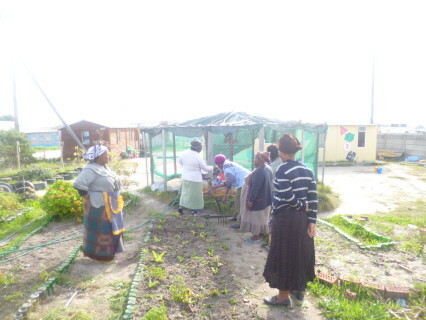 Permaculture also uses the idea of mixing the vegetables we plant. This means that we plant onions and garlic next to spinach – because these plants chase away insects. It is also important to alternate the seeds between plants that grow above and below the ground. On day two we went straight to the vegetable gardens at Makhaza Day Care Centre. As we were gardening I showed the women how to prepare the soil by using old grass called mulch and layering it with water and old food. This makes the soil fertile. We also cleaned some vegetable beds and replanted seedlings. We learnt by using what we can see and touch. On the last day the women said that they were very excited because permaculture gardening is a method that they know from home. 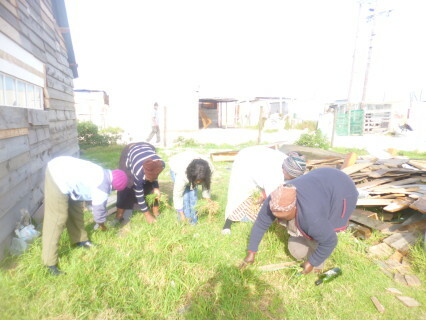 Through the permaculture exchange they could see how alive a savings group can be. If you see that something is happening and that a group is active, it is very motivating. 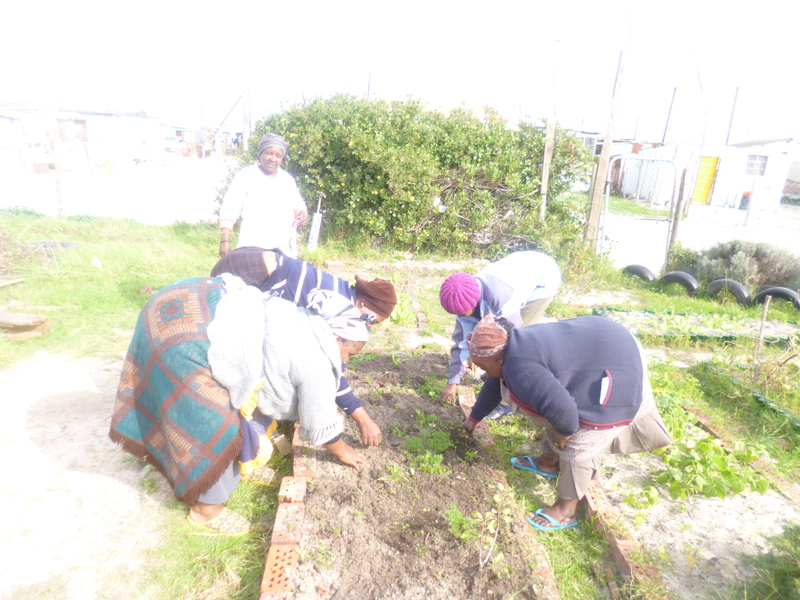 The ladies were so excited that they collected some money to buy spinach, cabbage and herb seedlings for their own garden. They decided that now they wanted to meet as a savings group every Tuesday to catch up on the meetings they had missed.